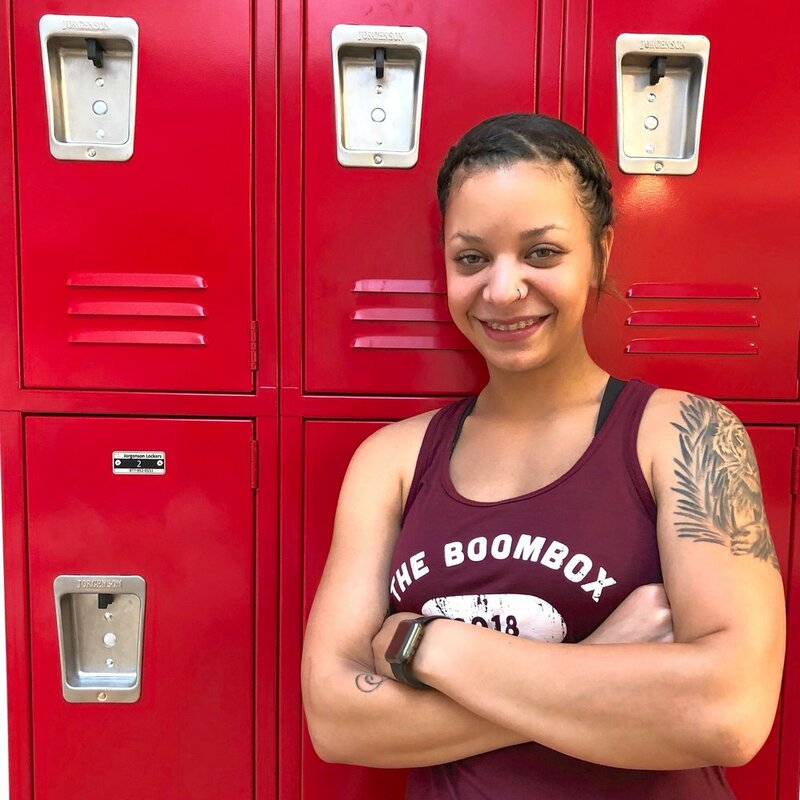 Alexandra is the founder, co-owner, and head trainer of The Boombox. She has been a personal trainer for almost 10 years. In 2012, she started Dynamo Fitness--an in-home private training service. After 5 years the business outgrew itself at which point she decided to open a studio in her hometown of San Francisco, creating a warm and intimate space with a sense of humor. Her goal was to create a studio inspired by her clients but inclusive to all. She specializes in weight, functional, and high-intensity interval training. She's worked with athletes, weight loss clients, teens, and seniors. In her free time, she enjoys playing soccer, cooking, taking photos of her dog, hiking, meditation, karaoke at The Mint and the occasional Twin Peaks Bar cocktail (or more). You can catch her in the studio creating playlists and designing workouts for your sweating pleasure. Daivya decided years ago to dedicate her life to health, wellness and fitness. Her experience in personal training has helped her develop effective program designs that guarantee client results. After graduating with an Exercise Science degree from Heritage College in Denver Colorado, Daivya began to explore new and old methods in holistic health—specifically in movement and flexibility. When she’s not training at The Boombox, you can find Daivya playing the cello, eating breakfast burritos or jump roping…you know, for fun.